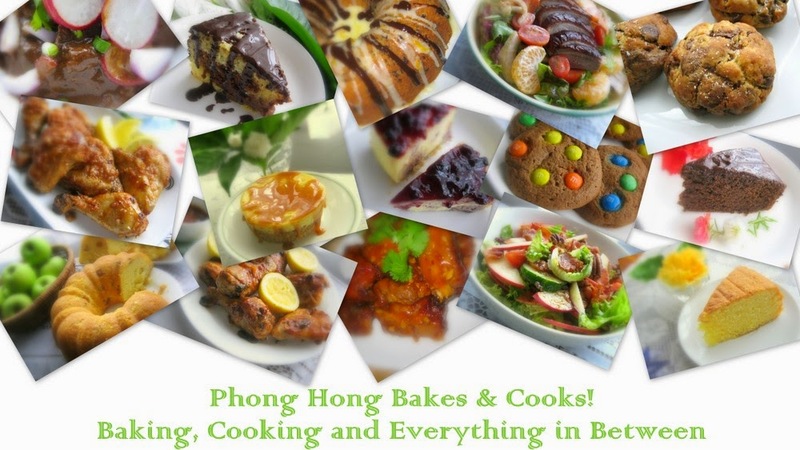 Phong Hong Bakes and Cooks! : Lahling, Can I Buy You Lunch? No lah, just joking hee...hee... On the second day of Chinese New Year, I told my partner that I want to buy him lunch. Being the gentleman that he is, he never lets me pay. But lately, he has started to accept the idea of me paying for our meal. This year, I made a deal with him that once a month, I will belanja him dinner (or lunch) and when I pay, I dictate the makan place. Hah! 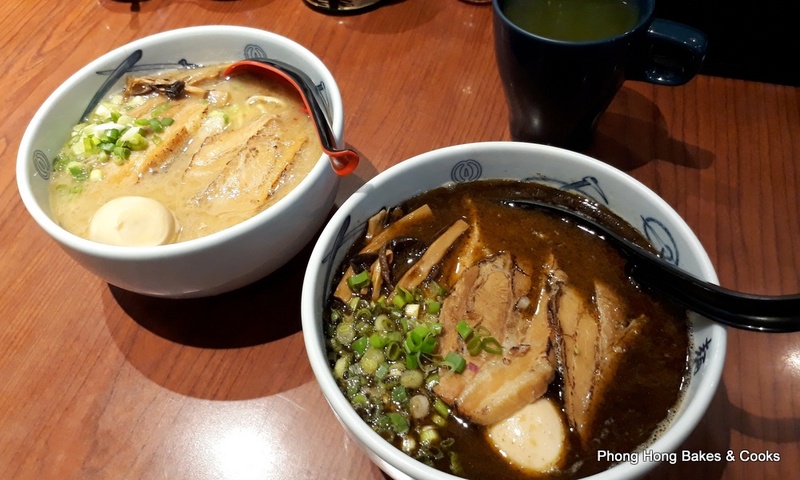 Seeing that my partner has never been to Menya Musashi (and because I wanted to eat ramen again), that was where we went. Since he is not familiar with the menu, I ordered for him. I got us both the Chashu Ajitama Ramen and chose Shiro (onion flavored oil) for him. Upon his first sip of the soup, he remarked "mmm... not bad". Which means it must be good since it warranted a comment or else he would keep quiet. I chose Kuro Aka (special mix of fried shallots and garlic flavored oil with chili flavored oil). The kuro flavored oil is black in color but the taste is amazing, unlike my first experience here. We shared a green tea since we would not be able to finish a drink each. My partner commented that the ramen broth was good but it was on the salty side. I had to agree that it was indeed more salty than usual. I like to add fried garlic and chili powder for extra oomph! That was a good lunch for both of us. About the piggie, you should see my house now.. almost at every corner, there is one oink oink smiling back at me! 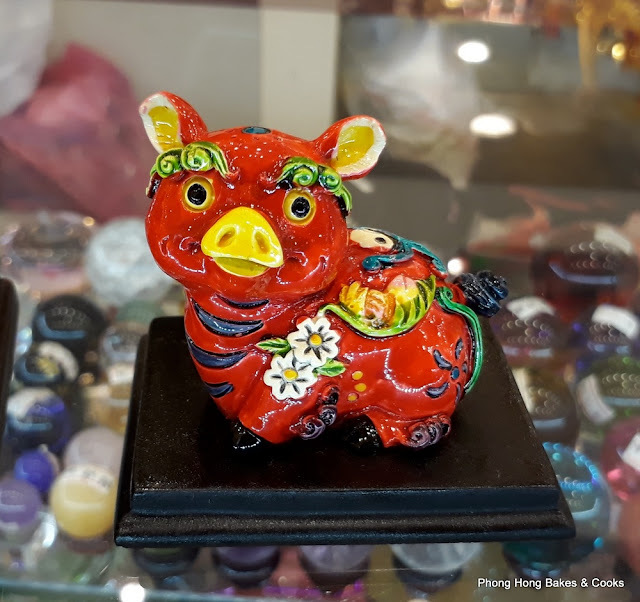 Your house must be very "ong" with all the oinks oinks at every corner! 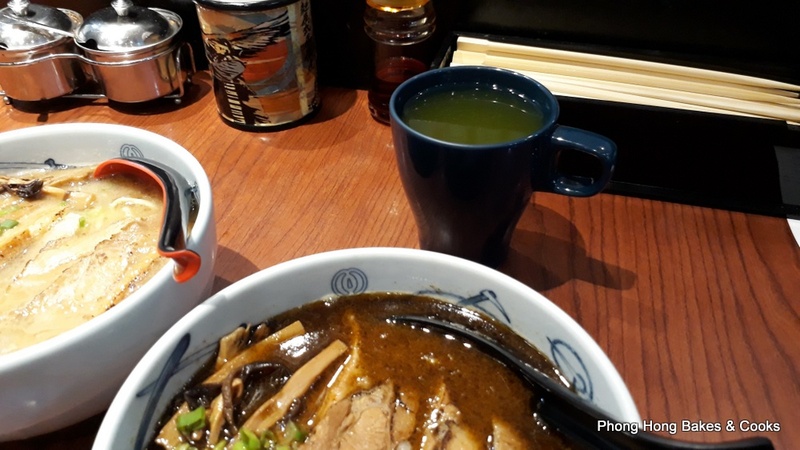 I heard from a friend way before that the ramen broth is on the saltier side because its apparently meant to coat the noodles with the broth's intense flavour and they usually don't drink all the ramen broth. 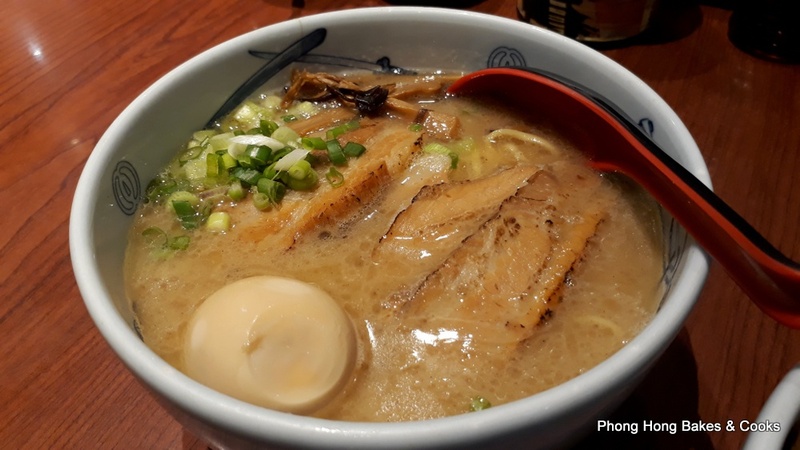 That one is Tsukemen, where the ramen is served dry separately and eaten dipped in the broth. Maybe they mixed up the broth! Haha. You make me laugh at the first paragraph, dear. Lol. Yes, I do call my other half "dear", "darling", "lo kung". You so romantic lah. LOL! Girls and girls can be lahling meh? LOL! Of cos can lah! The LGBT movement is very popular now! It's the closest to me and my go-to ramen place. Looks good! I did not see any nice ramen at Sushi Mentai, otherwise I would give it a try. Now, that reminds me of a joke - at the breakfast table in the morning: the English husband asks the wife, "Sweetheart, can you pass the sugar, please?" The American husband says, "Honey, can you pass the honey, please?" And the Malaysian husband says, "Ooi, LEMBU!!! PASS THE SUSU!!!" LOL!!! 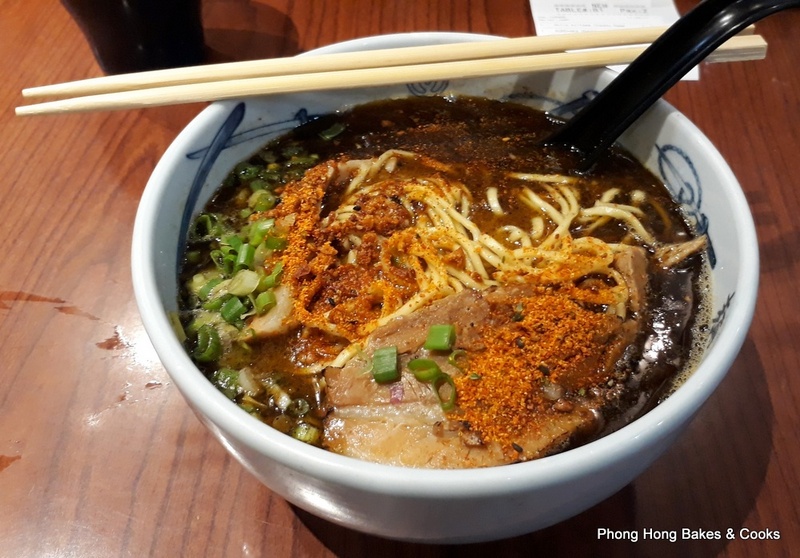 Don't eat ramen at those non-specialized outlets. Not nice at all. Did you buy the cute little guy? Ah, now that your partner approves of this place, you can take him to eat with you whenever you have a craving for ramen. And there I was thinking, eh, got someone who is the same as me calling the partner, hoi! but aiya turned out you are only kidding. No I did not buy hah..hah... I think most people tend to "hoi" their other half LOL! lama tak ke sini...walaupun agak terlewat, tetap nak ucapkan Happy Chinese New Year buat PH sekeluarga. Moga tahun ini memberi kegembiran buat PH. 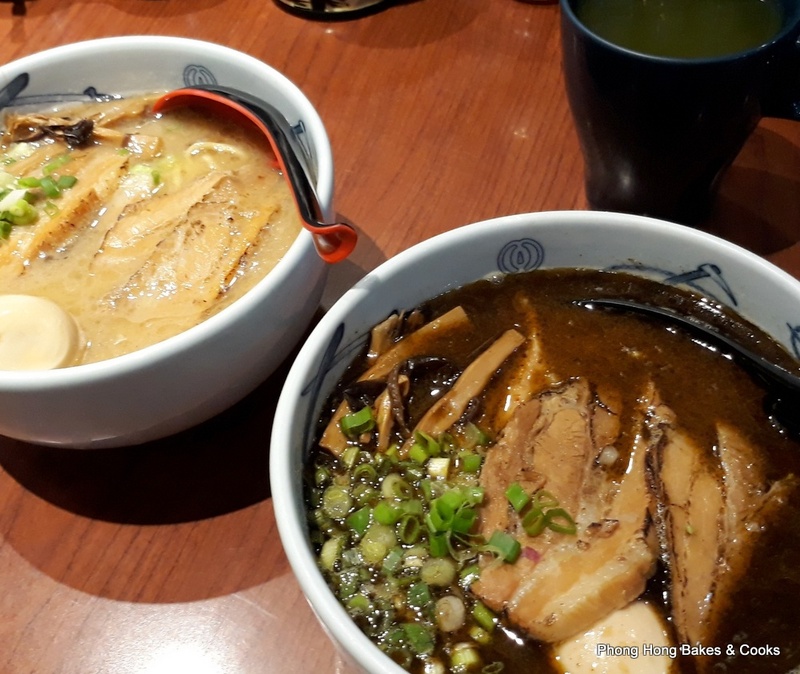 The reason why I don't eat ramen all that much is because of the very same comment made by your partner. Like him, I find most ramen soup base to be too salty and robust in flavour. hah..hah... I enjoy ramen but I don't have it often. Thanks for the recommendation. I'll be sure to check it out! What a blessed lahling of yours to get monthly treats from you! Cepat kahwin lah! 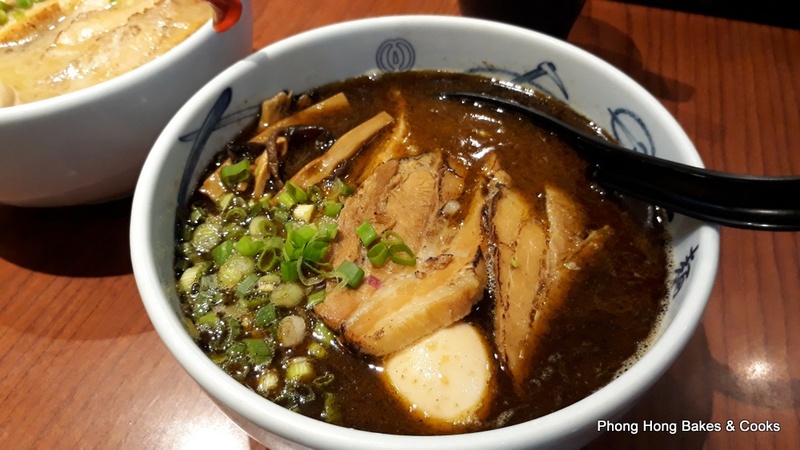 I want to try this ramen someday. If you like ramen, you must try this one. Pity that my favorite Tokyo Ramen at Atria already fold up.